Bill Bailey's Carne Asada Fajitas with Caramelized Onions & Bell Peppers and Blistered Jalapeños. Fajitas may be the best DIY food ever. 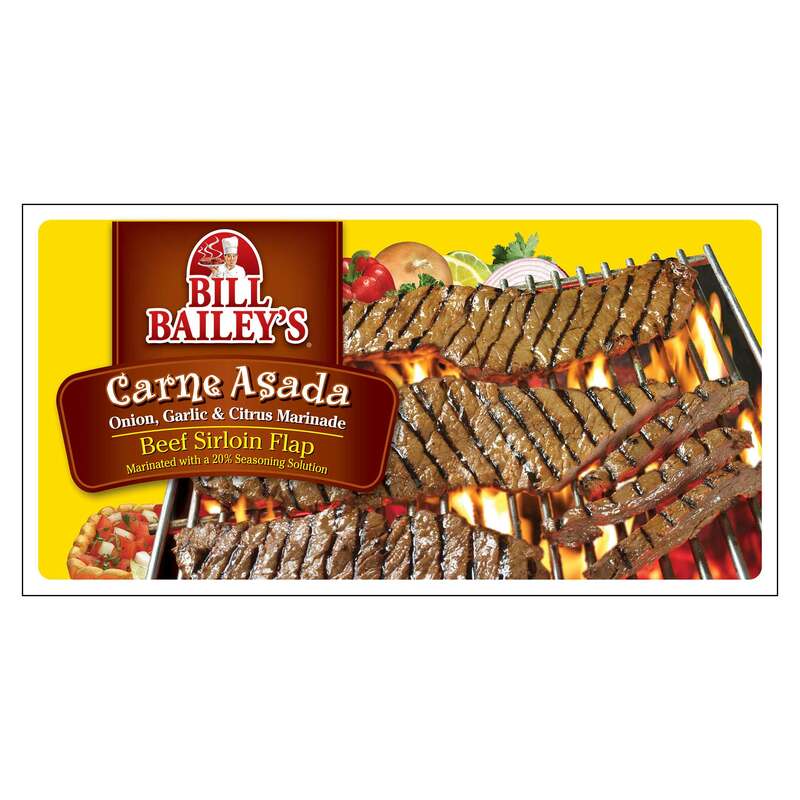 Perfectly seasoned Carne Asada plus grilled veggies adds depth of flavor to a meal that is surprisingly easy. Preheat your BBQ to high heat. Heat the olive oil in a large skillet over high heat. Add the onions and cook until caramelized and charred, stirring often, about 10 minutes. Add the red and yellow bell peppers, season the mixture with salt and pepper, and cook for 5 minutes more, tossing often. Grill the Carne Asada for about 5 to 7 minutes, turning every 2 to 3 minutes or until cooked through to 145ºF internal temperature. Place the jalapeños on the grill, while cooking the carne asada, and turn often until blistered and charred. 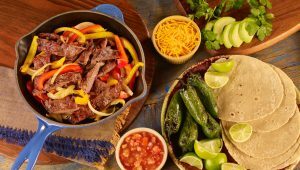 Slice the grilled Carne Asada and set it out along with the onion/pepper mixture, salsa, sliced avocados and charred jalapeños and offer tortillas for a do-it-yourself Fajita Bar.